Lynn, Mass. 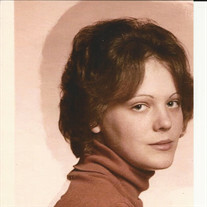 Valerie J. McKenzie 55 of Lynn, Mass. formerly of Schroon Lake, passed away at home on April 10, 2016. Valerie was born April 5, 1961 to Daniel McKenzie and the late Judith Lesson in Ticonderoga, NY. Val was a graduate of Schroon Lake Central School and attended Adirondack Community College. Valerie served in the United State Army from 1981 until her discharge in 1985. She worked in the Boston Mass. area for many years as a home care provider. Survivors include her father Daniel McKenzie of Severance, Her daughters Korin Anne O'Doherty and her fiancée Jeffery Bliss and their daughter FiAnna of Boston, and Anna O' Doherty also of Boston, her sister Cherie McGinn of Severance, her brother Daniel McKenzie of Chestertown and her brother Robert Lesson of Vermont, and several Aunts, Uncles and cousins. A Mass of Christian Burial will be offered Saturday morning April 23, 2016 at 11:00 AM at Our Lady of Lourdes Catholic Church in Schroon Lake. Interment will follow in the Severance Cemetery. A calling hour will take place at the church Saturday from 10:00 until 11:00 AM. The family suggests memorials take the form of donations to the charity of one's choice.